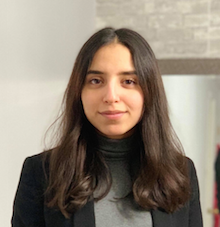 Luisa Torres is a fourth year Business Technology Management student at Ryerson University in the Ted Rogers School of Management. She previously completed an eight month co-op term at Sun Life Financial in the Group Benefits and Group Retirement Services department. At Sun Life, she contributed to the implementation of multiple technology projects and has always been a strong advocate for the expansion of the Campus Ambassador Program in Toronto. As a Campus Ambassador Regional Lead, she is excited to support the Toronto Campus Ambassadors as they promote the Sun Life Financial brand at their respective Universities. She encourages students to connect with her via LinkedIn! 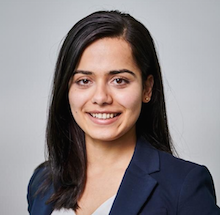 Yasmin Marjaee is a fourth year student pursuing a major in Finance and Economics at the University of Toronto, Rotman Commerce. Yasmin is involved at school in the Rotman Commerce Marketing Association, and she has passions for fitness, fashion, and art. She is excited to start her full time career with Sun Life Financial in the Business Leaders Rotational Leadership Development Program upon graduation this year. Yasmin is very excited to be a Campus Ambassador for the first time and to share her experience about the recruiting process with interested students on campus. As a Campus Ambassador her goal is to directly inform students of Sun Life Financial opportunities that could potentially be a great fit for them. Please feel free to connect with her via LinkedIn! 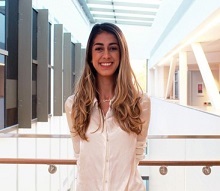 Isabella Terlizzese is a fourth year Global Health and Biology student at the University of Toronto who recently completed three consecutive summer internships at Sun Life in their Associations and Affinities Claims department. 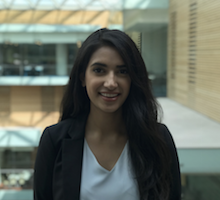 As one of the first Campus Ambassadors at UofT she is excited to share with students the abundance of opportunities that she has encountered at Sun Life. She is hopeful to encourage not only business students but science students as well to give Sun Life Financial a try. Isabella would like to connect further with UofT students interested in learning about the recruitment process and would love to answer any further questions they may have about Sun Life. Feel free to connect with her via LinkedIn! Sivim Sohail is a third year Biological Sciences student specializing in Life Sciences at the University of Ontario Institute of Technology (UOIT). 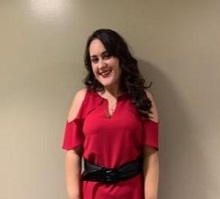 She recently completed a summer internship at Sun Life Financial as a Business Analyst for the Digital Health Solutions (DHS) team at Toronto York. As a Science student, she enjoyed exploring new avenues of employment in the business world while expanding on critical communication and time management skills. Alongside friendly and welcoming staff members, she had an exceptional work experience at Sun Life and is eager to share her story with students at UOIT as a Campus Ambassador. Please feel free to connect with Sivim via LinkedIn! 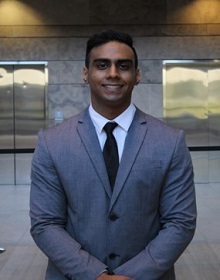 Jaskaran Gill is a fourth year student at the Schulich School of Business at York University, specializing in Marketing and Organizational Behaviour. Throughout his four years at York University, Jaskaran has been very involved in the York community and is always looking to help students find professional, academic, and personal success. He looks forward to continuing his commitment to students through his role as a Campus Ambassador. As a future Business Leader within Sun Life’s Rotational Leadership Development Program, he is excited to discuss opportunities and culture at Sun Life Financial. Feel free to connect with him on campus or through LinkedIn! 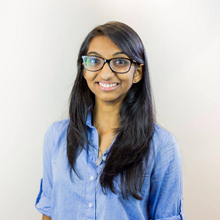 Divya Sridhar is a fourth year Software Engineering Co-op student, pursuing a minor in Economics, at McMaster University. She recently completed an 8-month work term at Sun Life Financial as a Telephony Analyst, with the ICT (Communications Technology) Operations team. Her experience working with AVPs on various inter-communication initiatives was very rewarding! 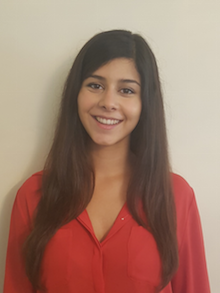 As a Campus Ambassador, Divya looks forward to sharing her experiences with students across campus and assisting them with any questions they may have about SLF work culture. Please feel free to connect with her via LinkedIn! Julia Dunder is a fourth-year Mathematics student specializing in Business at the University of Waterloo. She has pursued minors in Economics and Computer Science. She completed a year as a Financial Analyst in the Segregated Funds’ Financial Management team on her work terms. Julia will be returning to Sun Life upon graduation in the Business Leaders Rotational Leadership Development Program. At Sun Life, Julia had the opportunity to make meaningful contributions. She performed as leader in initiating multiple process improvements and lead various investigative risk and variance analyses. 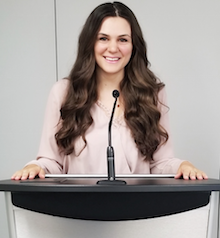 As a Campus Ambassador Regional Lead, Julia is passionate about collaborating with her campus ambassadors to connect students to the great opportunities available at Sun Life. She is always eager to start a conversation, connect with her on LinkedIn! Aiman Shafiq is a third year Statistics Major and Computer Science Minor student at the University of Waterloo. She recently completed a co-op work term at Sun Life as an Application Developer. She had an amazing experience with a wonderful team! Aiman was given multiple opportunities to expand her skill set during her work experience; everything from learning new programming skills to collaborating with team members working abroad. As a Campus Ambassador, she would like to direct other students towards meaningful work experiences by connecting them with opportunities at Sun Life. Feel free to connect her via LinkedIn! Anna Jamtorki is a third-year Management Engineering student at the University of Waterloo. She recently completed a co-op term at Sun Life Financial working in the Change Management team as a Business Systems Analyst. During her placement, Anna gained exposure to big data analysis and change approval process. She was responsible for many daily tasks including running reports and managing changes. As a Campus Ambassador, Anna is happy to connect students to new opportunities and share her experience at Sun Life. Please feel free to reach out to her over LinkedIn! 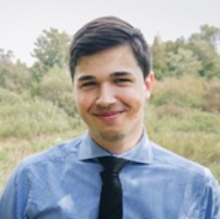 Trevor Smith is a third year student at the University of Guelph pursuing a Bachelor of Engineering, majoring in Systems and Computing. 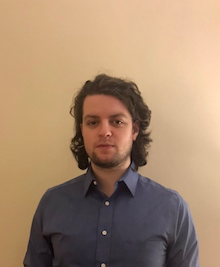 As a web application developer on the Digital Solutions Innovation Team at Sun Life Financial, he worked on skills improving the lives of clients around Canada. Trevor worked with an incredibly talented team of individuals to regularly create production ready software and further promote the Sun Life brand. 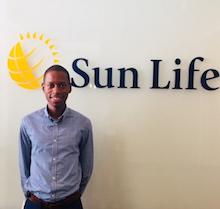 As a Campus Ambassador, Trevor is excited to help his fellow students share in the amazing opportunities at Sun Life and develop their professional skills! 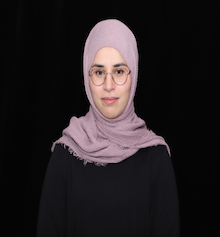 Manahil Masud is a second year student at Wilfrid Laurier University studying Business Administration. 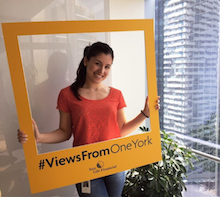 She recently completed a co-op work term as a Strategic Analytic Intern at Sun Life’s One York office. Working at Sun Life provided her with many learning opportunities and a positive environment to grow in. After such a great term Manahil is excited to be a part of the Sun Life community as Campus Ambassador to share her experiences with her peers. She is also involved in extracurriculars including DECA Laurier, Technology Management Laurier, and Laurier Backpackers. Manahil is happy to answer any questions regarding Sun Life and their student opportunities. You can reach out to her via LinkedIn to set up a coffee chat and get to know the program better! Ben Stewart is a fourth year Business student at Wilfrid Laurier University. He is working towards a specialization in finance and a minors in computer science and economics. He has completed three co-op terms at Sun Life and most recently worked in Sun Life’s Innovation Lab as a software developer, where he had the chance to work on Sun Life’s Google Home voice app. Ben will be returning to Sun Life for full time as part of their Rotational Leadership Development Program. He is very excited to be a Campus Ambassador for Sun Life this term and hopes that he can help Laurier students as they start their co-op, internship or full-time career! Omar Ramus is a fourth year Commerce student at Concordia University. He is specializing in Human Resources Management with a minor in International Business. In 2018, he completed an eight month internship at Sun Life in Human Resources as a Talent Acquisition Intern. Throughout his time at Sun Life, Omar has gained a lot of knowledge and developed various skills, especially working with various teams on interesting projects. As a Campus Ambassador Regional Lead, Omar is excited to work with Sun Life Campus Ambassadors in the Quebec and Ottawa region and also enjoys sharing with students his experience at Sun Life, as well as the student opportunities that Sun Life has to offer. Feel free to also connect with him via LinkedIn! 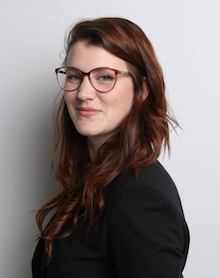 Anne-Marie Desautels is a fourth year business student at the John Molson School of Business-Concordia University, majoring in finance, with a minor in data intelligence. After her exchange semester in Singapore, she joined the Concordia Student Exchange Association to support incoming and outgoing students at Concordia. 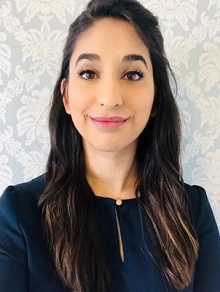 Starting the Business Leaders Rotational Program in August 2019, she is here to provide you with advice about the recruitment process at Sun Life. She is extremely happy to be a campus ambassador for this winter term and eager to share her experience with new recruits. Feel free to connect with her on LinkedIn! Patrick Vacca is a third year Software Engineering student. He has completed his first and second work terms at Sun Life Financial as an On-Site Support Technician and Mobile Developer respectively. He will be returning for his third work term in the summer, once again as a Mobile Developer. His experience was quite unique as he was able to see a different perspective in the world of technology. 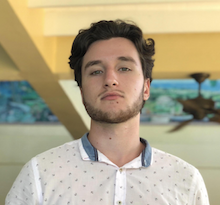 Patrick was able to to develop his organizational, communicational, and problem solving skills as the majority of his objective was to manage a specific IT project in his first role, and to develop part of the mobile application in his second role. Patrick would like to share with Concordia students the details of his his time at Sun Life. You can connect with him via LinkedIn to learn about the various opportunities SLF has to offer! Manel Balti-Kadri is an Information Technology Engineering at ÉTS. She recently completed her first co-op term at Sun Life Financial’s De Gaspe office. She had an amazing experience with the data base team. Sun Life allowed her to know the different departments within the company and to have an idea in which department she would like to make her next co-op. As Campus Ambassador, Manel want to connect with other student and to inform them about opportunities offered by Sun Life Financial. Make sure to connect with her on LinkedIn! Lauren Cockfield is a third-year, Bachelor of Commerce in Accounting student at the University of Ottawa. She is excited to be returning for her second term as a Campus Ambassador! Lauren first joined the Sun Life Financial team in Waterloo, where she was a member of the Private Fixed Income team. 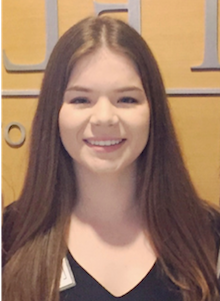 The welcoming team at Sun Life Financial and the opportunities for growth inspired Lauren to become a Campus Ambassador. This term, Lauren is looking forward to working towards her CPA and meeting more students at the University of Ottawa! Please feel free to reach out to Lauren via LinkedIn if you have any questions. Shiza Shahzad is a fourth year Finance student at the University of Ottawa. Outside of school and work, she loves to spend her time playing rugby and travelling. She is excited to start in the Business Leader’s Rotational Development Program at Sun Life. As a Campus Ambassador, Shiza is excited to encourage students to get involved with Sun Life. Feel free to connect with her on campus or via LinkedIn!